We love all holidays at our house. I especially ♥ the 4th of July! It’s such a fun stress free holiday…family, good food, firecrackers…yes, yes, and yes. It’s one of the holidays that has not become too commercialized. It really has stayed true to what it is…a celebration of our country’s freedom. Our kids love decorating the house for all the holidays. I have just a few 4th of July decorations that we put out each year. I got rid of some older things last year and needed a few new things. I shopped the house for items I already had and put the kids to work making patriotic crafts. I’m not sure if the kids enjoyed the craft more or eating all the Pringles. 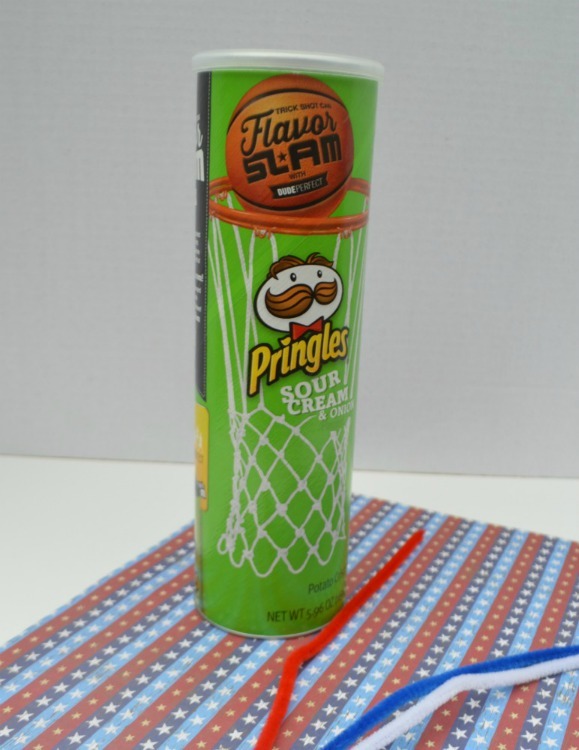 These Pringle can firecrackers are really easy to make. You could also use construction paper and let the kids draw on it or put stickers on the paper. You might also like paper straw flags or paper straw necklaces. Thanks Julie! So easy and quick as well! Thank you Cathy! I would love to link up! I have not had a lot of time to do link parties this summer, but will for sure check it out.